Please note the takeover of the PolyGram group did not happen until early 1999 so if a label from that group (Mercury, Polydor, Decca, Verve Records, Philips etc) appears it is 1999 or later. Also, a 7 digit catalogue number xxxxxx-x is listed it indicates the release is using the adopted PolyGram system so it's 1999 or later. Label brand used by the Universal Music Group and its affiliated companies, and former sister company Universal Studios. Please note, the presence of a six-digit plus one digit cat # (xxxxxx-x) makes a release post-PolyGram merger, so 1999 or later. CDs with the Universal logo in the matrix are not pressed by Universal. It means the CD was released by Universal, a Universal sub-label or released by a record company using Universal as their one of their main marketing and distribution companies. An example of this can be found on Various - Now That's What I Call Music! 86 which was Sony/Universal joint release, with Sony DADC manufacturing the item at their plant in Austria, with the Universal logo lasered in the mirror band of the CD where the matrix is found. As Universal had previously owned and managed their own plants, the coincidence of the Universal logo being found on Universal M&L/UML made CDs was extremely common. In such cases, please refrain from applying a manufacturing credit. For releases with credits like "MFG BY UNIVERSAL" printed in the matrix, please add a Manufactured By credit. 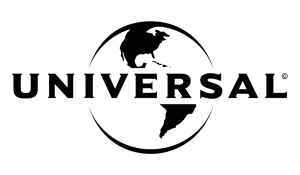 Releases containing the logo of a dark planet with satellites belong to Universal Records.